Brand research expert, Debra Semans, senior vice president of Polaris Marketing Research, is the keynote speaker at the GSAE luncheon. 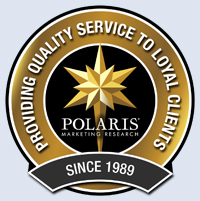 Polaris Marketing Research, Inc. (polarismr.com) announced today that senior vice president and brand research expert, Debra Semans will be the keynote speaker at the Georgia Society of Association Executives (GSAE’s) luncheon on January 20, 2010. Her topic, “Top Ten Branding Mistakes You Can Avoid,” is timed to coincide with the Society’s rebranding efforts. To hear the latest on what industry leaders are saying about marketing as it pertains to marketing research, visit our blog at themarketingdialog.com.